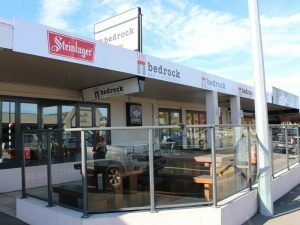 Open seven days The Bedrock is a popular hospitality destination in Ashburton and known for the stonegrill style of eating. A cosy log burner creates ambience and heats the premises with the assistance of a heatpump plus there is a handy children’s play room fitted with TV and DVD’s. This is an established eatery with a central bar and an appealing outdoor dining area positioned for the afternoon sun with ample car-parking front and back.